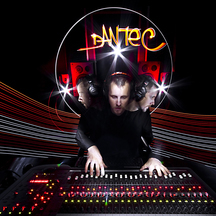 Mathieu Dantec (aka Dantec3p) is audio engineer for more than 15 years. He worked a lot on live music and is, these days, participating to the creation of a school for professionnal sound technicians. In 2015, he is focusing on his studios called Musiques du Monde Actuel, in Pontoise (France) to work there on projects important to him like Steven Reinhardt's one.